Firm: Rath Young Pignatelli, P.C. Steve Lauwers is a shareholder of the firm, and a member of the firm’s executive committee. He heads the firm’s Financial Institutions Practice Group and advises clients on a wide range of insurance, corporate and banking/trust company matters. Steve focuses his practice on corporate, financing, risk transfer and regulatory matters involving insurance companies, banks, trust companies and other financial institutions, health care organizations and government contractors. He is a nationally recognized expert on insurance law, and he represents a number of clients before the Insurance Department on a range of matters, including mergers and/or acquisitions, insurance company formation, reinsurance, licensing, market conduct, rehabilitation and liquidation, and rate and form approvals. Steve also represents a number of clients before the Banking Department on a similar range of matters. Prior to joining the firm in 2000, Steve was the Assistant Insurance Commissioner for the State of New Hampshire. In this role he acted as the General Counsel for the Department and was involved in a wide range of regulatory and transactional matters. 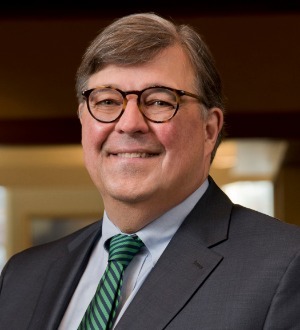 Prior to his government service, Steve was Vice President & Counsel in the Law Department of Aetna Life & Casualty in Hartford, Connecticut where he headed both the Property/Casualty Law and Life/Annuity Law Sections of Aetna’s Law Department.